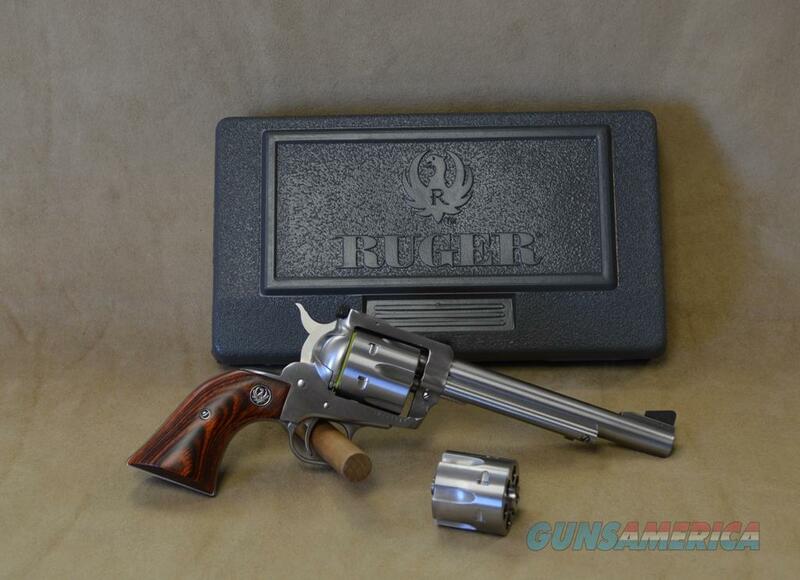 Description: Ruger New Model Blackhawk Revolver in 357 Mag / 9mm Calibers. Factory New in Box. 6.5" stainless barrel. Single action. 6 round cylinder. Rosewood grips. Ramp front sight, adjustable rear sight.